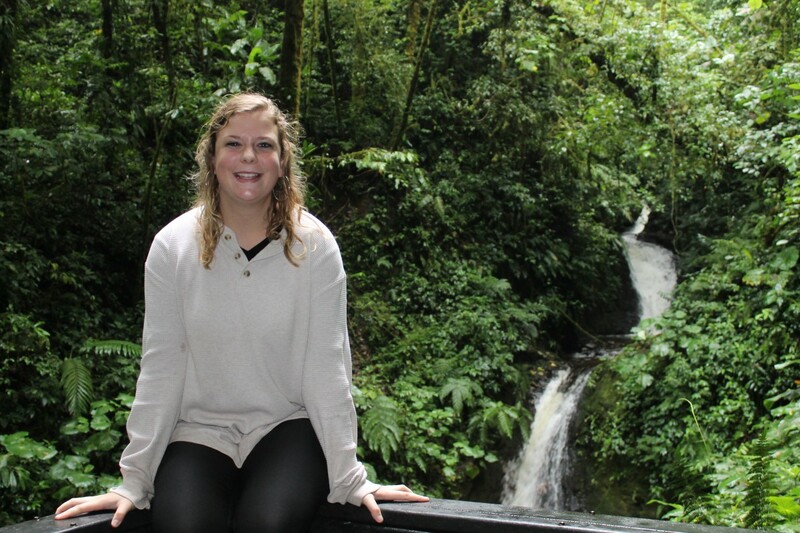 Ag Dawgs Abroad Blog | Exploring Costa Rica! While the entire trip was a blast, one of my favorite days was a day when we just got to see Costa Rica! We started the morning off by going on a zip-lining tour through the clouds. While we may have been cold and wet the entire time, the views were incredible and it was definitely an experience I won’t forget! 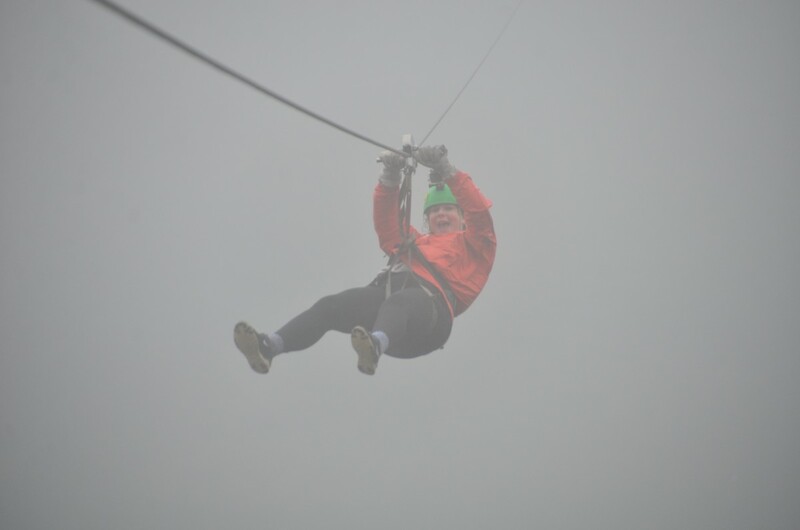 We were able to go through a series of 7 zip lines, and ended it with the option to do a “free fall” bungee jump. While I was nervous to do the free fall, and may or may not have screamed a lot, it was an awesome opportunity that I’m glad I got to have while we were there. 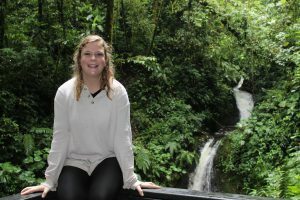 That afternoon, after zip lining, we visited the Monteverde Cloud Forest. We spent about three hours hiking to see a waterfall and some of the incredible wildlife around Costa Rica. The scenery was beautiful, and the animals were incredible to see! One animal in particular, the Coati, walked right up to us and seemed unfazed that we were there. Personally, I believe one of the most important aspects of a study abroad program is that you get immersed into the country. While there isn’t enough time in a week to do this, I was very glad we were able to spend this day exploring a small part of Costa Rica. We even finished off the day with a traditional Costa Rican dance lesson, which was awesome! Previous: Zipping through the Clouds!